I’ve always been a proponent of getting really interesting people into a room and seeing what kind of magical things can happen. Back in 2010, a group of people passionate about fashion, art, culture and community did just that. Their challenge: how to create a fashion community in a Midwest state known for it’s agriculture. 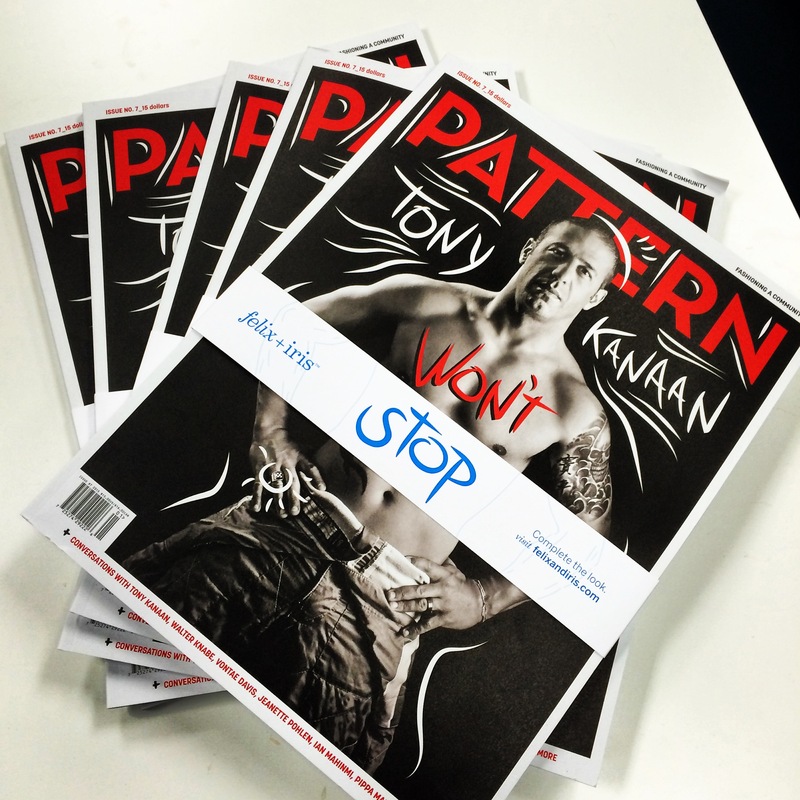 The magical “thing” that manifested into a solution: Pattern. So what exactly is Pattern? Allow me to break it down for you. The meet-ups: At it’s core, Pattern’s mission is to advance the Indy fashion and design community by creating connections among individuals and businesses, and providing educational and inspirational opportunities through special events. These special events happen once a month at the Pattern store, and showcase local talent doing big things in the community. They are an excellent networking opportunity for fashion-focused professionals, enthusiasts and advocates… and a really fun alternative to staying in on a Thursday night watching Netflix. The next one is happening Thursday, April 30th and will spotlight the founders of Raleigh Denim. Get your tickets here! Pro tip: The magazine makes a great coffee table book after you finish reading — and in my case, makes me seem much more fashionable than I actually am to all of my friends. The store: The Pattern store launched in August 2014 at 877 Mass Ave. Inside, you’ll find an ever changing selection of men’s and women’s fashion — from jewelry, to dresses, to bow-ties. The people are extremely friendly and the clothes are high quality and very reasonably priced. Fun fact #1: The store is part of the Riley Area Development Corporation’s Retail Incubator Program, and was funded by a Kickstarter campaign (thank you people of Indianapolis). Fun fact #2: Fifty percent of the store’s profits go back to the Incubator Program to help fund the next local retailer. Store hours are Sun-Thurs @ 11am-7pm and Fri-Sat @ 11am-9pm. Check it out, and show the north end of Mass Ave some love. The future: Now that a fashion community has been built, the next challenge is supporting that community. Enter Ruckus — an Indianapolis makerspace where inventors, designers, artisans, photographers, craftspeople and engineers can share equipment, technology and ideas to help launch their next creation. Pattern is once again partnering with the Riley Area Development Corporation and People for Urban Progress on the space, which will be located at the Circle City Industrial Complex along 10th Street. There will be 20,000 square feet of equipment, studio and retail space. My favorite part: an extension of the Cultural Trail will go through the building connecting the Cultural Trail to the Monon and New Pogues Run Trails. Guys, this is going to be cool. Basically from the day it opens (TBD), you can find me hanging out at Ruckus wishing I had a skill that warranted a membership. But instead, I’ll just continue promoting these beautiful organizations on Trndy Indy.